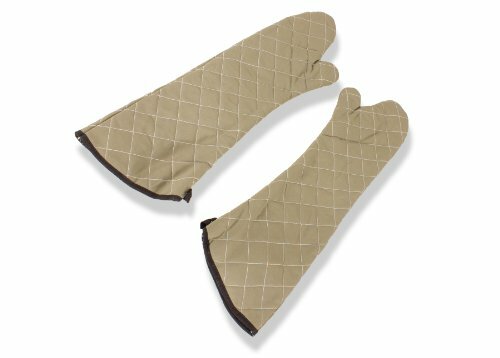 Heat Guard Oven Mitt used for commercial and industrial kitchens to protect against extreme heat. Protects against burns. Important for kitchen and restaurant safety. If you have any questions about this product by Crestware, contact us by completing and submitting the form below. If you are looking for a specif part number, please include it with your message. SPRINGROSE 90 Inch Commercial Grade Heavy Duty Seamless Black Round Polyester Tablecloth(set of 10).